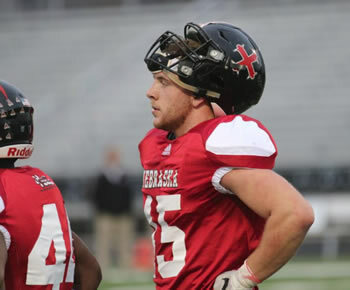 Mount Michael senior Garrett Hustedt led the Nebraska team with 10 tackles in the River Battle Bowl held between Iowa and Nebraska high school All Stars. The game was played in Council Bluffs, Iowa. Nebraska won 35-20.